I changed my life to create Mendittorosa Odori d’Anima. my life: a reflection of my true soul. that place was Stromboli, a living, breathing volcano. and 2000 meters below the sea. that I hope will now reach you. and on your skin in your search in life. Experiences that reconnect. Wounds that heal. it brings peace and poetry. Perfumed mirrors of the soul. Authenticity, originality, very small production selective distribution. 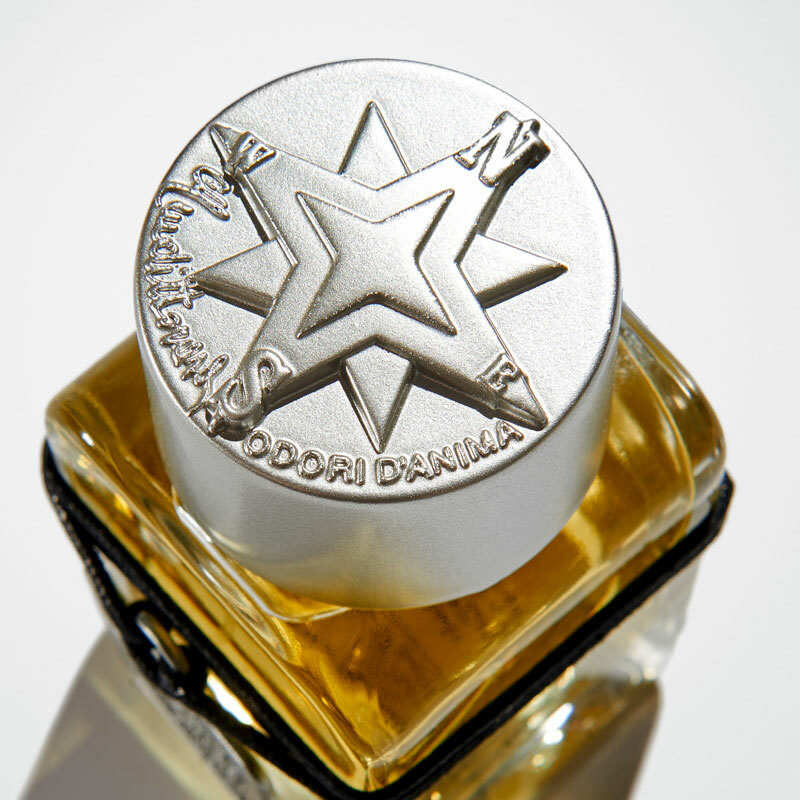 Mendittorosa Odori D’Anima perfumes are available in 100ml sizes of eaux de parfums and extrait, unconstrained by gender. They have authenticity, originality; produced in small batches for selective distribution around the world. All the fragrances are a collaboration between the artistic vision of Brand Director Stefania Squeglia, perfumers Amélie Bourgeois and Ann-Sophie Behaghel at Flair in Paris and Luca Maffei at Atelier Fragranze in Milan. 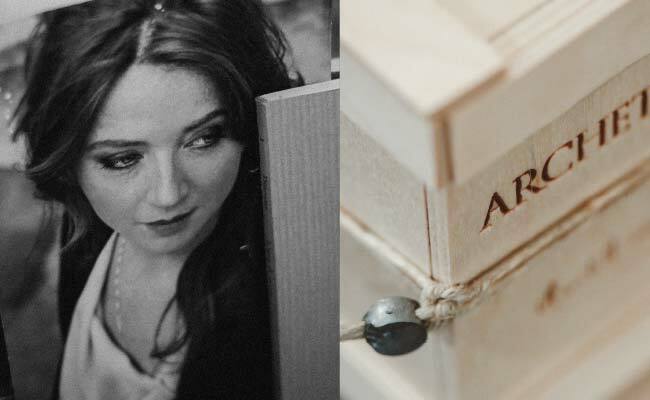 Unique and artisanal packaging is part of the Mendittorosa vision, using tactile natural materials to give body to Stefania’s visions and dreams. Wood. Metal. Stone. Ceramic. Designed and made in collaboration with Italian artists and makers selected personally by Stefania Squeglia. The Mendittorosa boxes are inspired directly by the fine art world, replicas of the ones used by Tuscan artist Alessandro Reggioli to transport his artworks. In this way, our artistic creations can travel safely in in their wooden cases all over the world. Artisan compositions made without compromise. Exclusive and limited editions; touching the soul through scent. "Gorgeous presentation ..I need to put my nose on these"
What a Stunning Scent blast of citruses with grapefruit and black current with beeswax note holly macro, the dry down is just gourmandish fresh niche fragrance. I rate this 9,5 on 10.
the Archetipo arrived in London safely, thank you, and — of course! — it is wonderful. I really love the sarcocaulon accord in the heart, it feels truly original. I am a huge fan of your work and each new unveiling seems to produce a new treasure. "Crazy in love with this brand, I want the all collection"
Hi Stefania, I received the samples yesterday. Today I tested the first, La Cura; smells divine. Dear Stephanie, thank you the spirits themselves are wonderful, and the price is pleasant and your participation is just a gift! "Today Im wearing Rituale again I want to drink the bottle its soooo delicious... I get sweetness but not the traditional cloying gourmandish elements.. what Im getting is thus floating sweet kind of feeling"
"Stefania is a force of the nature, the fragrances are incredible.."
"I love your creations! Thank you for bringing new dimension to my fragrant world"
This is one of the more creative fragrances in my collection and it’s quite hard to describe. It’s got a honey type sweet accord accompanied by some dry fruity notes and some florals. I also get a little incense in here even though it’s a note that’s not listed. It’s blended with some other notes to create something that’s nice and warming but above all, mysterious. This one really captures my imagination. "I received the samples... and i'm absolutely transfixed by these scents! Beautiful work." Scent of the day is Rituale composed by Mendittorosa of 🇮🇹. Alluring and animalistic it conjures the since of romance, traveling to the coast and experiencing the perfect Mead wine with ripened fruits. Very vividly the notes captured the essence so well. The nose behind this fragrance is Amelie Bourgeois. Top notes are bergamot, mandarin orange and lavender; middle notes are jasmine, narcissus, rose, black currant, raspberry and pomegranate; base notes are patchouli, sandalwood, beeswax, amberwood, white musk and hyrax. .Rituale is paradise on earth, lush, earthy, comforting,challenging, Thank you so much, in this world of mass market greed you give me hope and inspiration to carry on.Bless you! This is one of the more creative fragrances of my collection and it’s quit hard to describe. ...It really captures my imagination. Order Rituale directly from Mendittorosa’s website, the owner, brand muse, and all-around amazing Soul-Buddy Stefania Squeglia will likely personally respond; she, her visions, her incredible creations that’s she’s 100% involved in, from every drop of fragrance to every mm of the gorgeous artisan bottles, packaging, branding. 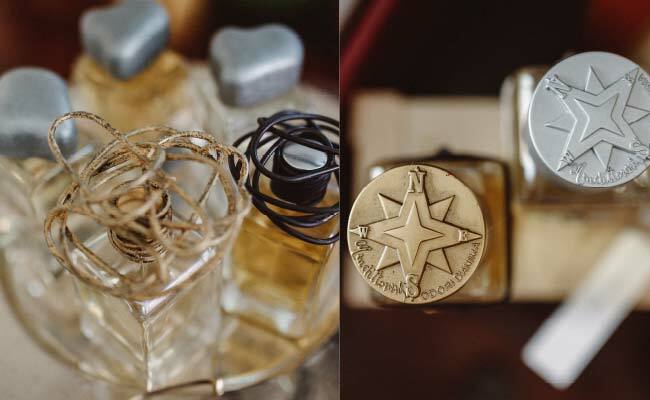 Mendittorosa Odori d’Anima (“scents of the soul”) and sister company Talismans Collezion Preziosa are rare brands into which the owner has put her heart and soul—and anyone fortunate to experience her and her creations, comes away feeling a better person. 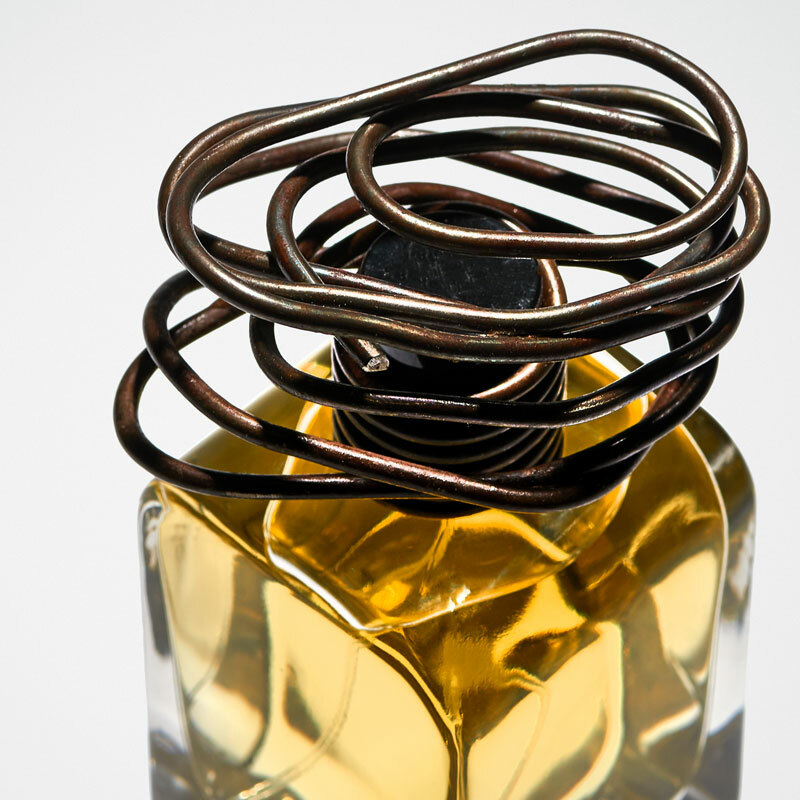 All of Stefania’s creations are “extrait” concentrates decanted into 100ml, totally original, works of art—literally. Several artists, poets, top perfumers, craftsmen and even dancers work behind the lines to keep every piece original, and you can really feel it. Rituale is truly gorgeous and unique—very golden in nature. Although there are mostly sweet, sanguine–red forest fruits in the opening accords, it isn’t syrupy sweet. I immediately assumed this was a honey scent through and through, but there are white florals, warm, animalics like beeswax and “Golden Stone”, amber, woods. 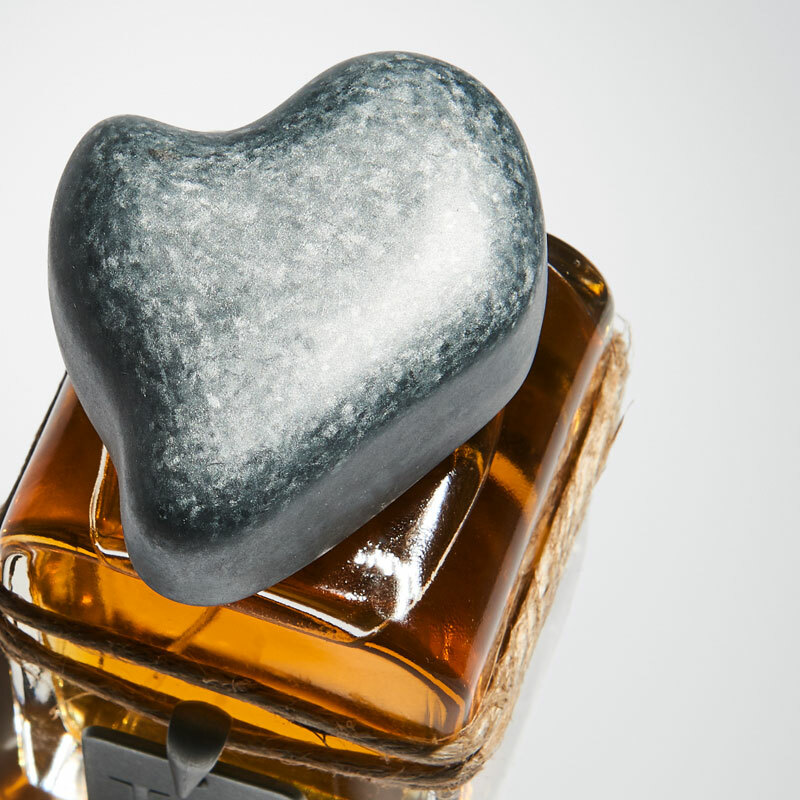 You won’t know what you’re missing until you try it, and I heartily suggest you do, if you’re a true fragrance lover...especially “niche”, I guarantee there’s more here to love than meets the eye! You certainly know how to move those fortunate enough to be in your gravitational pull. These gestures, the manner in which you help to promote people’s passions via their work…thank gods for you. I’ve certainly missed your magma-like fiery spirit, and when my body heals, (and I’m determined that it will! ), I’m going to the Mediterranean to soak in the sun. We have just received the goods. They are all so beautiful and mezmarizing, and the fragrances we love them all. Dear Stefania, I like to order once again...! 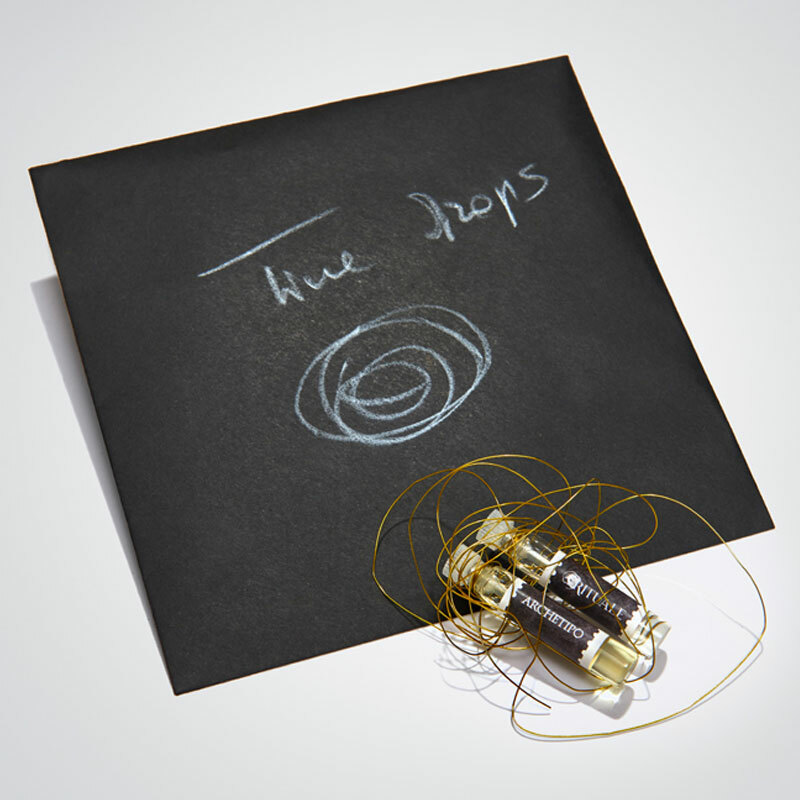 I have ordered first time the Omega perfume, and the Talisman sample set! As I wanted to give the Omega perfume as a present to a friend I want to smell it first! So now I want to order the trilogie samplesset and maybe ID! Later I still can buy another one if I surfive till then! So I want wait too long to order! I find your perfumes and bottles all gorgeous and nice smelling!! You are a real artist!! Much Love p.s. Can I order right away? A captivating mixture of milky light and dry flowers with a breeze of frankincense. "My scent of the day today was Archetipo.. Oh Dear Lord... This is just sooooo goooooooooood.. I can definitely sense some Patchouli in it and it just boosts my confidence... Thank you for creating these"
Wow! This is an ethereal majestic beauty which defines the words 'liquid poetry'. How something so still, cool and serene can evoke so much emotion, time and space from just a few drops in a vial.To me this is incense and ozone, earth and sky, an ode to freedom and solitude. It has Cedarwood Virginia, Vetiver, Aldehydes and Ozone amongst its ingredients. Gorgeous presentation ..I need to put my nose on these"
"Oh I’m in fragrance heave! Stefania’s works are the definition of artistice perfuemry"
Loved trying them at @cherrygardenparfum last night! I'd love to smell ID, NORTH, and SIRIUS if that possible I'd greatly appreciate it! Le mat is a work of art I'm sure these are going to amaze me as well. Your creations are absolutely wonderful Stefania; I wore Le Mat and Rituale in Spain and love them both...Rituale is a magnificent fragrance. I will wear Sogno Reale here in Cape Town since I think it would be perfect for the present Summer season, and also suitable as I live so close to the ocean. I have brought with me to South Africa all that you sent, and I have to admit that with your creations I have now become a compulsive fragrance sniffer. I am positive that I will be ordering another fragrance from your collection in the not-too-distant future. “This is the most delicious animalic scent in my collection. the hirax note plays a very mysteriouspart with beeswax, raspberry and black currant bringing an extra layer of jammy sweetness. Whata abeautiful piece of art." "Archetipo - from the Greek: prototype, the beginning. Luca Maffei did great job! Archetipo is a thick spruce green in the 80's style mixed with resins, smoke and incense. It develops from green, burning flame to smoldering woody resins and smoke. Strong, firm, beautiful. Unambiguous. Must-have!"